Ahhh, but the flip side: when God says “Wait”, there is so much more to be gained. (My so much for Sunday Two Cents worth–I’m multi-tasking.) Have a blessed evening–much love. 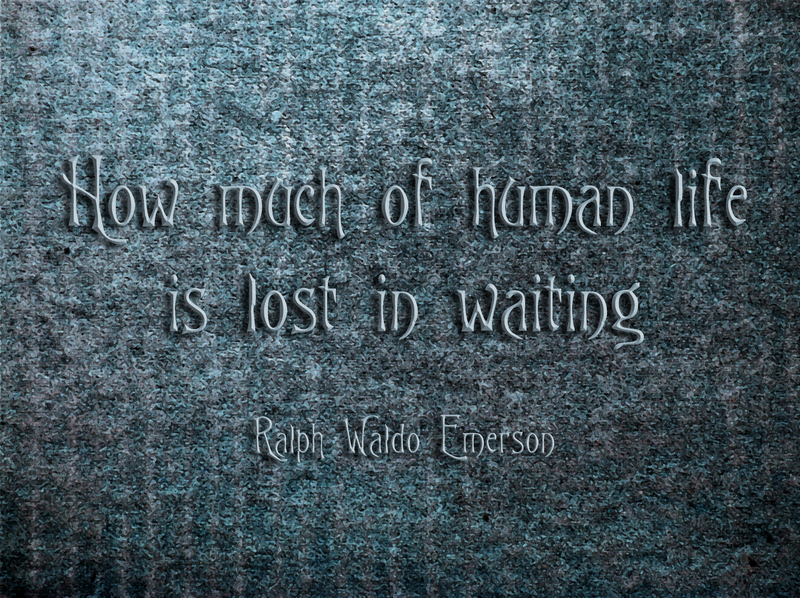 I am hoping that Emerson was speaking more of temporal annoyances! I agree, what are you waiting for? Not a whole lot anymore!